In 1966 the Bartholomew County Retired Teachers Association was founded to promote the welfare of retired teachers in Indiana, specifically in Bartholomew County; to promote fellowship among retired teachers; and to serve as an instrument through which retired teachers could lend support to our local schools. In life as well as in the classroom, leadership is simply raising one's hand and saying, "I'll do it." Here in BARTA we appreciate these people who raise their hands and keep our organization moving forward. 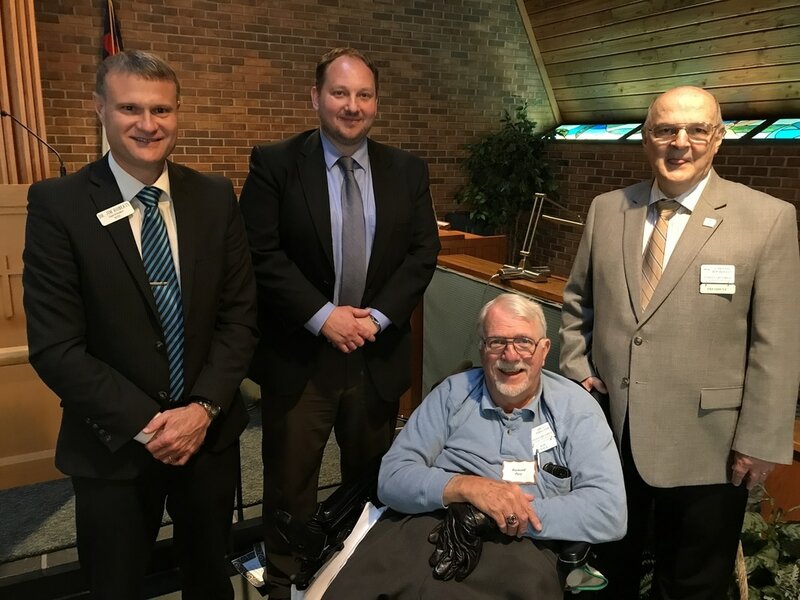 Joining BARTA members in May 2017 to celebrate the 50th Anniversary were BCSC Superintendent Dr. Jim Roberts, FRHC Superintendent Shawn Price, IRTA District 7 Director Ray Pavy, and IRTA President Dennis Bourquein. Dr. Jim Roberts, Shawn Price, Ray Pavy and Dennis Bourquein spoke to BARTA members at the 50th Anniversary Celebration. Donna Browne holds her Outstanding BARTA volunteer certificate. Long-time BARTA member and community volunteer, Donna Browne, was recognized at the annual Indiana Retired Teachers Representative Assembly for her outstanding volunteer service to Indiana, and, in particular, to IRTA District 7. She received the traditional Clock Award, given by the association to only one member in each of 10 Indiana districts. 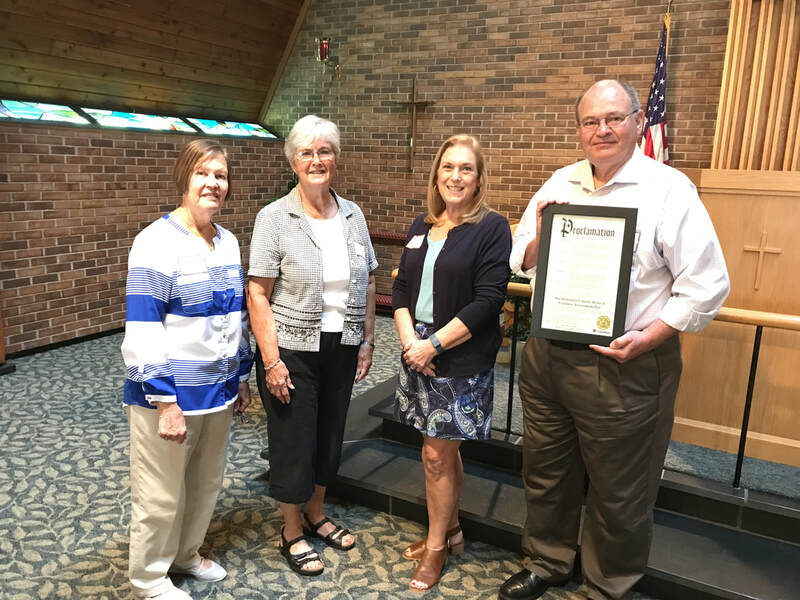 Donna's leadership of Lasting Impressions, a group of active, talented seniors at Mill Race Center who sing, dance, and stage dramatic presentations throughout the Columbus community and for all ages, was applauded by the state association. Not satisfied with just performances for Bartholomew county audiences, Donna and the Lasting Impressions produce six dinner shows for audiences in Johnson and Brown counties. Also recognized at the state assembly with an honorable mention award for Outstanding Volunteer Service was BARTA member Alan Schwenk. Three other awards were presented to our Bartholomew county chapter: the awards for Outstanding Group Project, Donna Nicholson, chairperson; Outstanding Press Release, Cheryl Zuckschwerdt-Ellsbury, chairperson; and Outstanding Website, Joyce Heckman, webmaster.